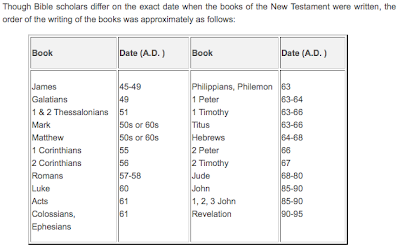 Since I recommended you begin reading at the New Testament, we’ll talk a little about the layout of the New Testament. It is a collection of 27 books written in Koine Greek by several authors over a period of about 50 years. It contains the teachings and history of Christianity. 2-Acts is the book that recounts the birth of the Christian church and tells us how to be saved. This book is full of accounts of conversions and a chronological account of the first century church. 3-The next 21 books, (Romans through Jude) are called “The Epistles”, which means “letters”. There is some ambiguity as to the authors of some books, but the first 14 books are generally thought to have been written by the apostle Paul. The following 7 books identify their authors as apostles, biological brothers of Jesus and John the Evangelist. These letters were written to the first century churches. 4-The last category is the book of Revelation which is the revelation to John of the second coming of Christ in the end times. When you are reading in the New Testament and you see passages in all capital letters, that means it is a quote from the Old Testament. Matthew addresses his Gospel primarily to the Jews to convince them that Jesus of Nazareth is their Messiah, the King of the Jews. With the genealogy of Jesus, Matthew also uses ten fulfillment quotations by which he seeks to show that this Jesus, though rejected and crucified, is the long-awaited Messiah of the Old Testament (Matt. 1:23; 2:15; 2:18; 2:23; 4:15; 8:15; 12:18-21; 13:35; 21:5; 27:9-10). But though rejected by the nation as a whole and crucified, the King left an empty tomb. Luke, the doctor historian, presents Jesus as the perfect Son of Man who came “to seek and to save that which was lost” (Luke 19:10). Luke strongly stresses the true humanity of Christ while also declaring His deity. Some believe that Luke particularly had the Greeks in mind because of their keen interest in human philosophy. John immediately (1:1-2) focuses the reader on the deity of Christ by presenting Jesus as the eternal Son of God who gives eternal and abundant life to all who would receive Him by believing in Him (John 1:12; 3:16-18, 36; 10:10). Though written to all mankind, John’s Gospel is especially written to the church. Five chapters record the farewell discourses of Jesus to His disciples to comfort them just a few hours before His death. In addition, seven miraculous signs of Jesus are set forth to demonstrate that Jesus is the Savior and to encourage people everywhere to believe in Him that they might have life (John 20:30-31). Isn't this gorgeous? I'm so excited about this and so pleased with how it turned out. This is easily one of my most favorite creations and I hope you think so too! 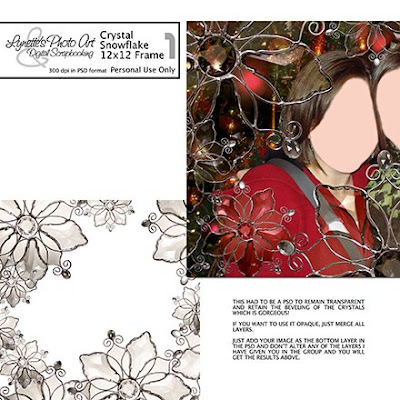 I don't think I'll be able to leave this freebie up long because it had to be a psd to preserve the transparency and the beveling details on the crystals which means it's huge. Since I'm running out of space in my 4shared account, I will probably have to expire the link for this before long - so get it while you can! 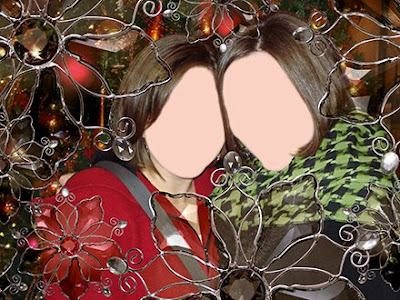 I've put my layers in a group and linked them, so if you leave them alone and just drag your image to the bottom layer, you will get the results shown above. Kewl?!?! Thank you for sharing the beautiful page and for the lesson! Thank you for such an awesome freebie. You do such beautiful work. I also like reading your lessons, so keep them coming. This is gorgeous. Thank you. I haven't used it yet though, but I have some ideas. Thank you also for sharing your faith. Oh now I found this one! LOL, missed it earlier this morning. Once again, thanks so much and please do know you mission and ministry through your blog are in my thoughts and prayers! just stunning! i can't wait to try this on a layout! thank you for sharing.